Some people are insane for ramen, true ramen maniacs, ramen freaks. I may be one of them, but I think I'm still probably legally certifiably sane, at least for the time being. But what happens when you combine an evening of ramensanity with true insanity? My buddy M and I found out a couple days ago when we headed over to Shibuya to grab a bowl and catch a screening as part of the Image Forum theater's mini film series on mental illness. 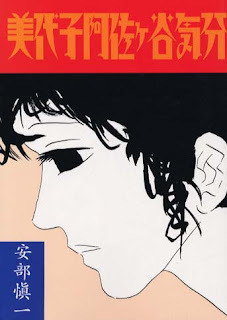 The film was beautifully done, and if it ever gets a proper release, it is a must see for anyone interested in alternative manga of the 1970s (which has recently been getting more press in the US), film fans, and humans in general. After letting the film sink in, we strolled out of the theater and whipped out my collection of ramen mags to seek out dinner. Just up the Miyamasu-zaka slope east of Shibuya station is a newish ramen hot spot christened "Ramen Daisensô" (The Great Ramen War), a 4-story building hosting a different ramen shop on each floor. Uh, keep your eyes peeled for the 30 foot tall mural of the anime girl. We had our sights set on the shop on the second floor, Macchibô (Matchstick), one of the few shops in Tokyo serving Wakayama ramen. Wakayama and I go way, way back. I first came to Japan ten years ago this month, when I spent a summer as a high school exchange student in Wakayama. Located just south of Osaka, most of Wakayama is a rural backwater where some of the deepest mountains in Japan run all the way to the sea. 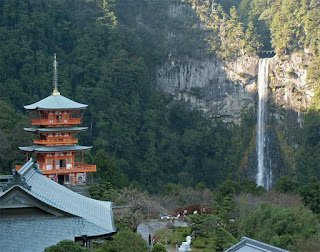 Home to some of the country's most important religious sites, like the Kôya-san temples and the Kumano shrines, Wakayama has been thought of as a distant and spiritual land for milennia. 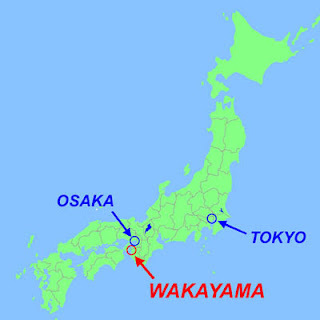 Wakayama City, though is a different story all together. 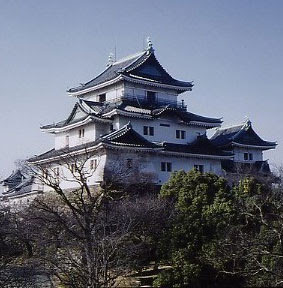 An old castle town of one of the key families of the Tokugawa Shogunate, it has developed into a medium-sized modern city and major suburb of Osaka after being bombed into oblivion during the war. Wakayama is also one of those towns where ramen plays a more important than average part of everyday life; like in Hakata in Kyushu and Kitakata in Northern Japan, Wakayama is the kind of city where there are ramen, or as Wakayamanians refer to them, "chûka soba" (Chinese noodle) shops on nearly every block. Wakayama ramen traces its origins back to about 1940, when wartime street stalls like Marutaka began selling their tonkotsu-shôyû blend. In 1951, the most famous Wakayama ramen shop, Ide Shoten, opened its doors, and Wakayama ramen became divided into two similar but slightly divergent styles - the slightly thinner broth with heavier soy from Marutaka-type shops (known as 'shakomae' (Garage-front) for their location near the trolley terminus), and the thicker, porkier Ide Shoten-style shops, which have gone on to become identical with the name "Wakayama ramen" nationwide after the shop won back to back "Best Ramen in Japan" awards on TV in the 1990s. Ide Shoten was also one of the stone-cold favorites of Keizo from Go Ramen on his epic cross-country ramen journey. Oh yeah, and there's one more thing that makes Wakayama ramen unique...sushi! Any Wakayama ramen shop worth its salt (vinegar?) serves sushi; the most common, and the kind on offer at Macchibô is "hayazushi", mackerel pressed flat onto square rectangular chunks of rice. I managed to snag the last piece for the day, and let me tell you, I don't know how it works, but it works. Mackerel is one of my favorite kinds of fish, and that sweet, pungent, oily taste is the perfect counterpoint to the strong shôyû taste of the soup. This is another one of those dream combinations in my book. I've spent so much time telling y'all about the history of Wakayama and schizophrenic cartoonists that I haven't yet fully imported just how delicious Macchibô is. THIS, dear readers, is ramen. Strong, hearty, soulful, and deep, with a gooey egg on top. Keizo is always telling me how kotteri shôyû (thick soy) soup is his jam, but I've never been a full convert...until now. M found it a wee bit strong, but you can request more or less oil, stronger or weaker taste, and firmer or softer noodles. Wakayama ramen just shot to the top level of my favorite regional styles, and I fully intend to seek out the rest of the shops serving it in Tokyo. And I'm not just biased because I spent my formative years in Wakayama...in fact I think I only ate ramen once while I was there - and now I'm slapping myself for it! Dude, you are so not sane! haha. And yes, kotteri shoyu baby!! Wakayama is also known for their umeboshi...I think. But man, this bowl sounds awesome! I must try it. I'm coming for a week in September but I'll only be in Tokyo for a few days. I'll hit you up in email. Persevere in up of seize Our Adverse Prices at www.Pharmashack.com, The Unequalled [b][url=http://www.pharmashack.com]Online Dispensary [/url][/b] To [url=http://www.pharmashack.com]Buy Viagra[/url] Online ! You Can also Espy Superior Deals When You [url=http://www.pharmashack.com/en/item/cialis.html]Buy Cialis[/url] and When You You [url=http://www.pharmashack.com/en/item/levitra.html]Buy Levitra[/url] Online. We Also Firm a Signal Generic [url=http://www.pharmashack.com/en/item/phentermine.html]Phentermine[/url] In sustain of Your Sustenance ! We Clear no heed to noticeable up Unceasing bruise [url=http://www.pharmashack.com/en/item/viagra.html]Viagra[/url] and Also [url=http://www.pharmashack.com/en/item/generic_viagra.html]Generic Viagra[/url] ! Love your passion for Ramen, a dish that you can never say that you've had until you've had them all. I lived in Tokyo for 4 months and tried to cover most grounds in central Tokyo area, have you ever (I would imagaine that you have) tried Toride ramen, around the corner form Tokyo Stay in Shybuya, I really enjoy a good ramen there when ever I'm in town, and don't forget the garlic. I really like the blog and my quest for a good ramen continues whatever city I am in, I've found 2 good places in New York recently that is worth a visit. Thanks for the tips. My website: Instant No deposit Poker to play poker. This is really very informative site and all your articles are hot as hell, lots of useful stuff. One thing I just want to say is that your Ramenate! Blog is so perfect to me.